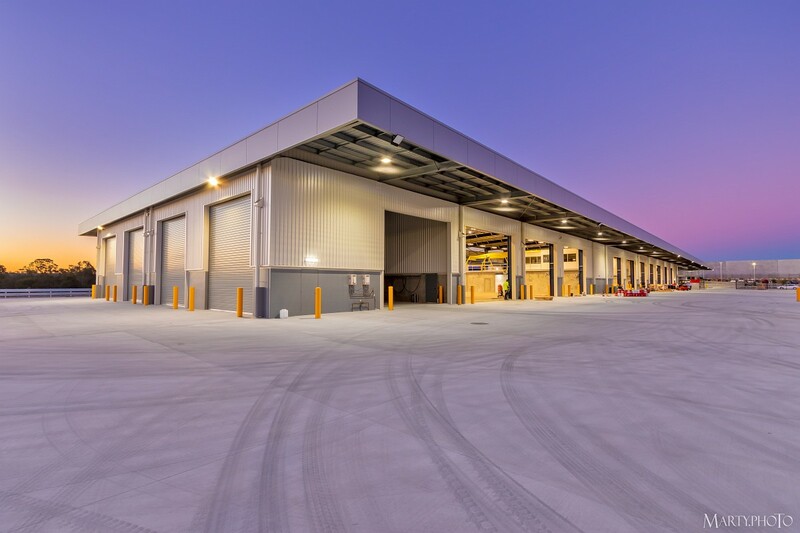 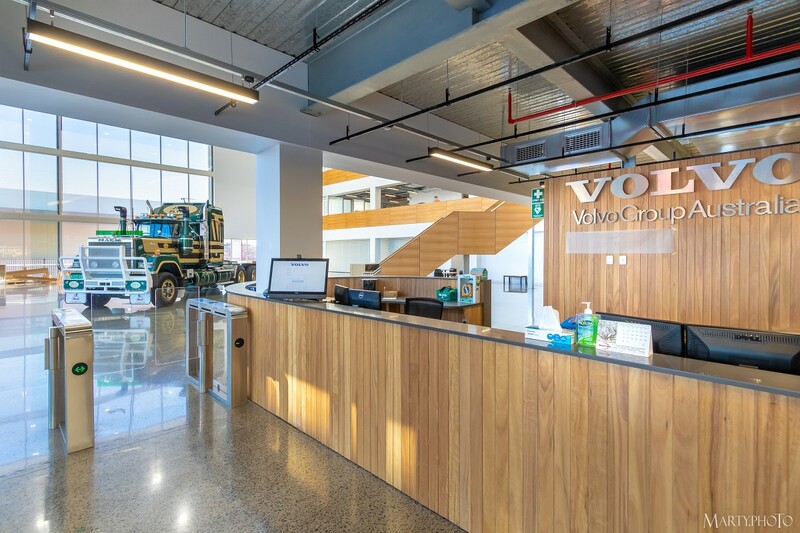 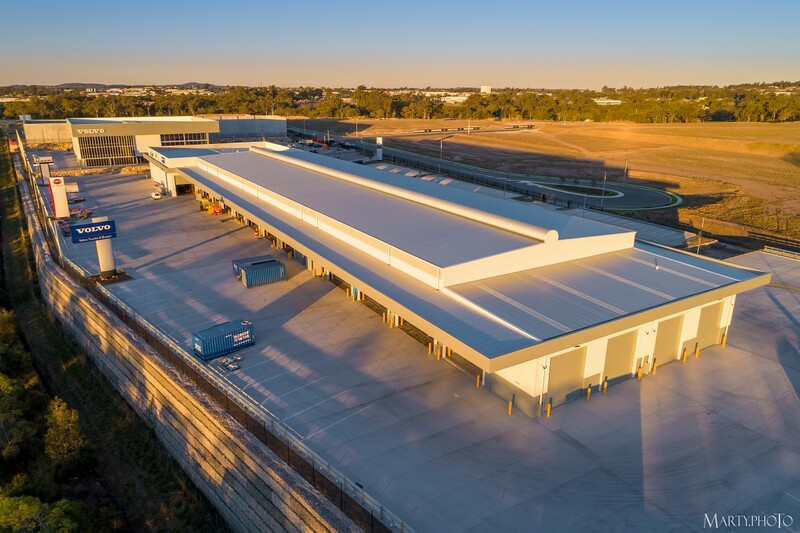 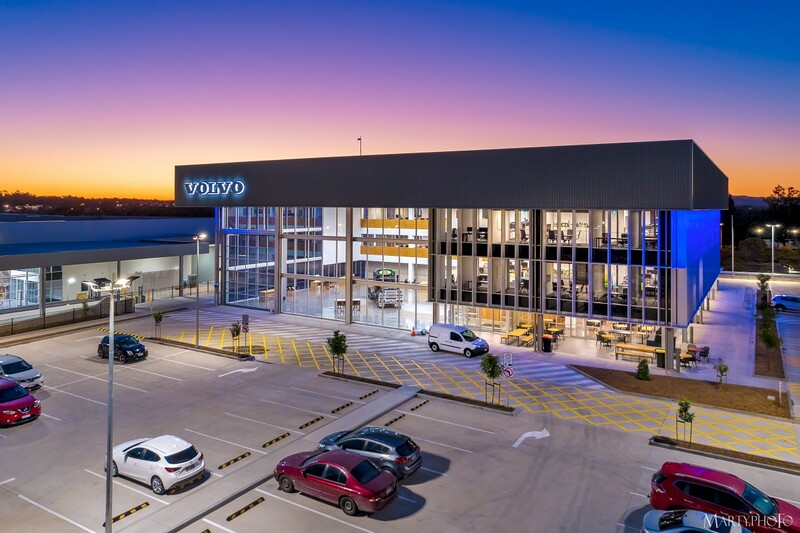 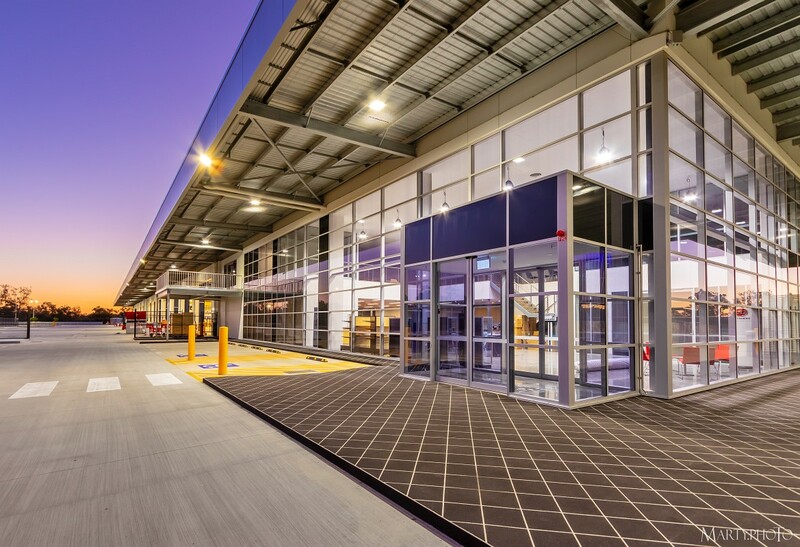 Completed in 2018, the new Volvo Truck Facility in Wacol is the first building in the newly finished Metroplex Westgate "West" Estate. 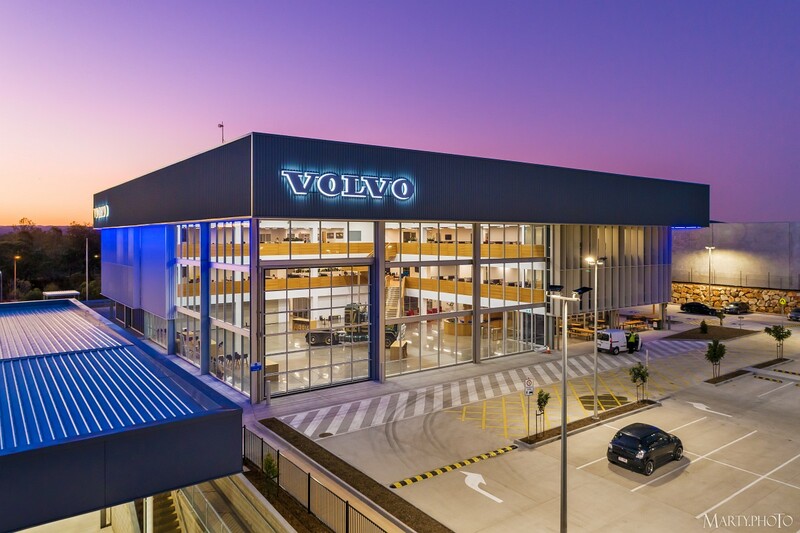 The Volvo facility consisted of two buildings, a three level 3,900m2 Head Office and a 6,050m2 Dealership Facility all on a 32,700m2 site. 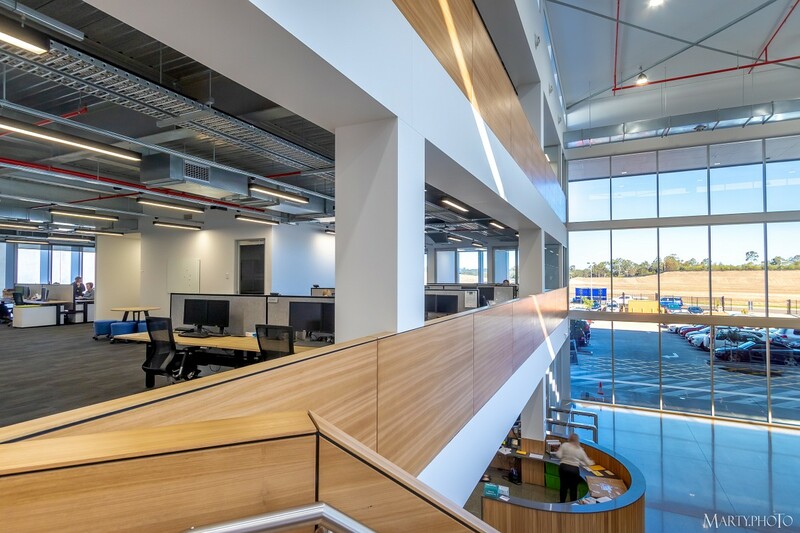 Spaceframe Buildings undertook the full design from concept through to "for construction" for both buildings. 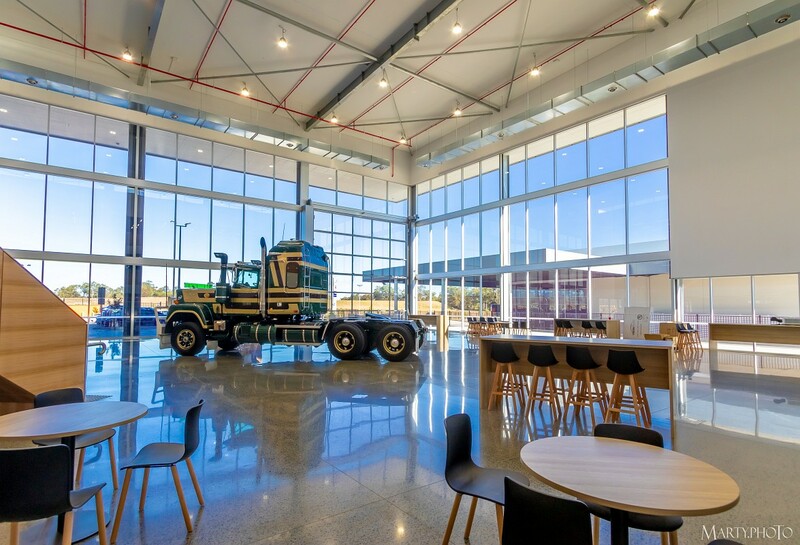 The Head Office included a 600m2 polished concrete floor showroom on the ground floor, to be used as a showroom for Prime Mover Trucks that can enter through the 7.5m glass folding door, as well as an event space for Volvo. 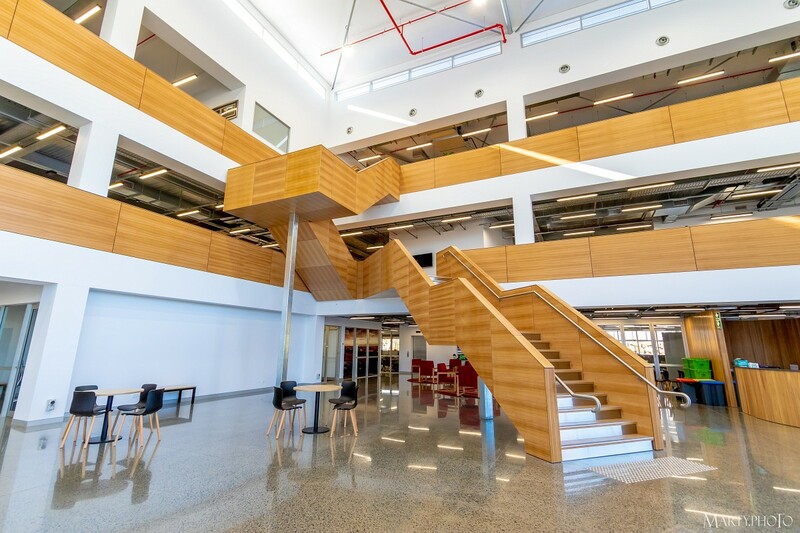 The balustrading on each level overlooking the showroom area is Blackbutt Ply Cladding with a feature Blackbutt set of stairs linking each of the levels. 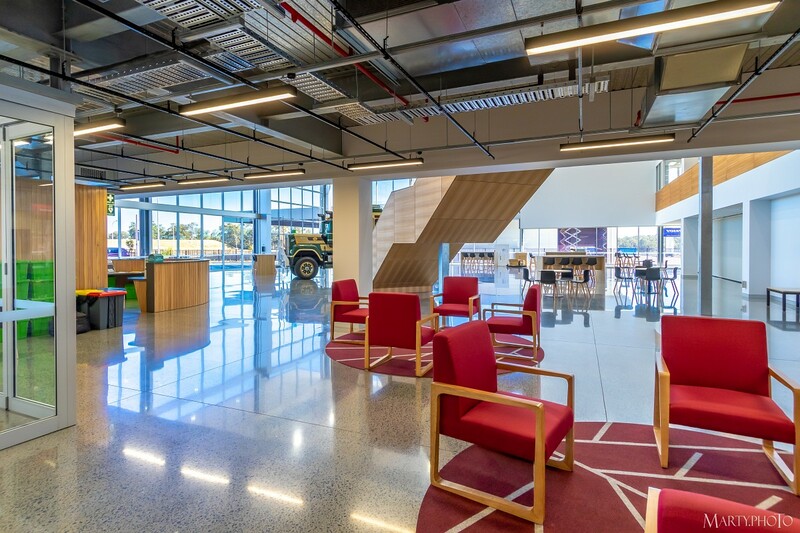 The ceilings on each level are "exposed construction" which means that all services including fire, electrical and mechanical are visible. 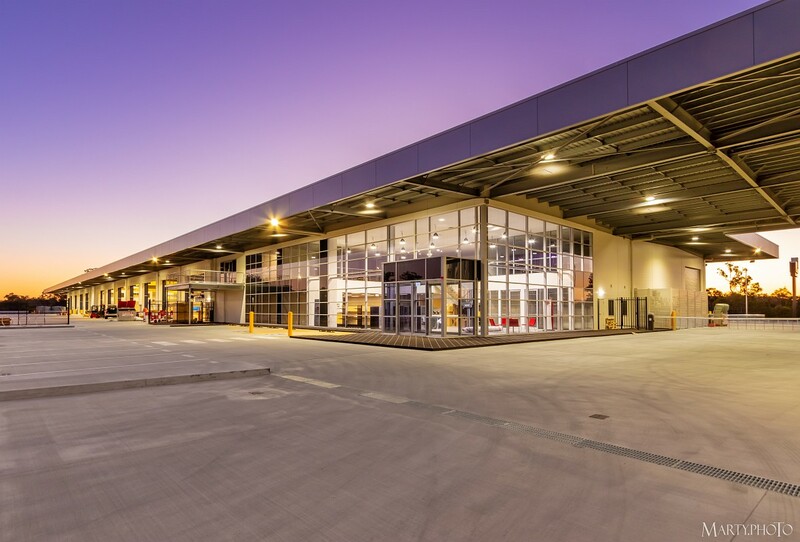 The Dealership includes a two level office for the Dealership Staff, Drivers Rest Room, as well as a Workshop Area, Washbay, and Parts Storage for maintenance and servicing. 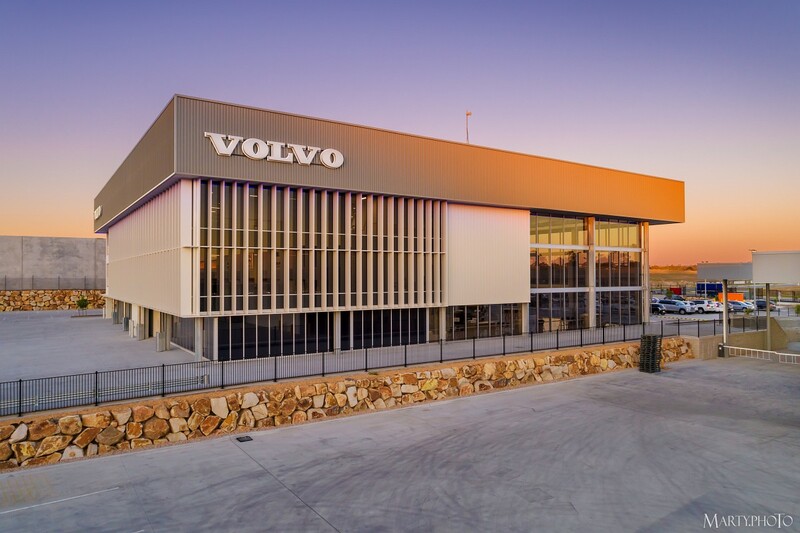 Our scope in the Workshop area also included the co-ordination and in ground works for the installation of three 27m long service pits by Volvo's workshop contractor. 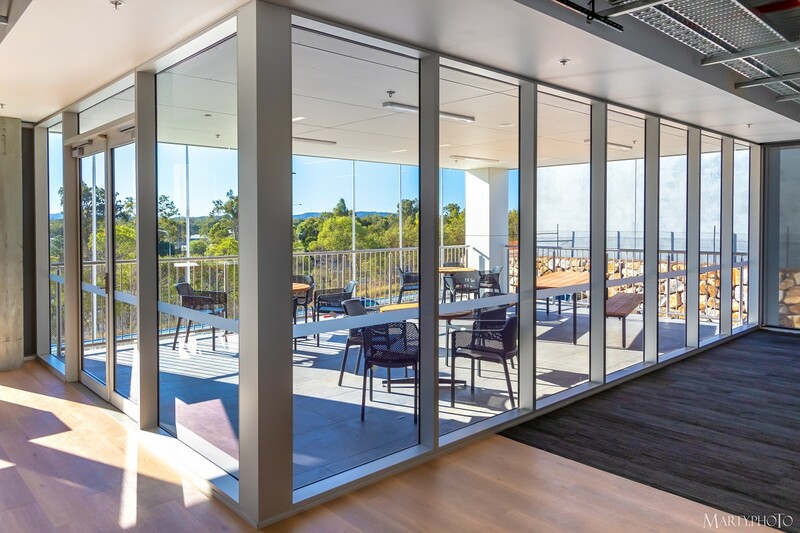 We commenced the project in September 2017 and achieved Practical Completion in June 2018, two months ahead of programme… The Spaceframe Way! 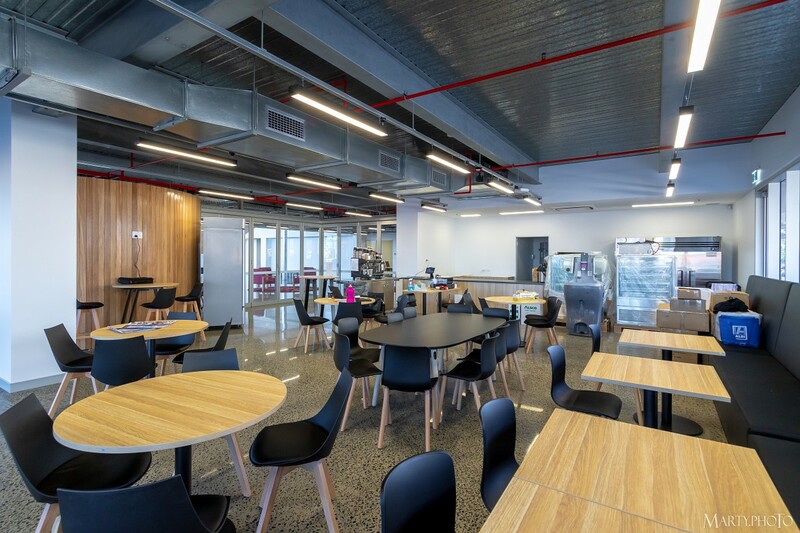 From concept design through to construction completion, Spaceframe delivered.